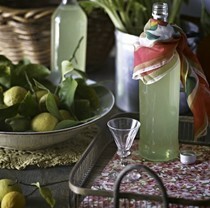 Also published in Australia under the title "Limoncello and Linen Water: A Trousseau of Italian Recipes." The lentil ragu was quite delicious, not so sure whether the pasta added anything! An interview with Tessa Kiros about his book. No one does beautiful cookbooks like Tessa Kiros, and her track record speaks for itself. 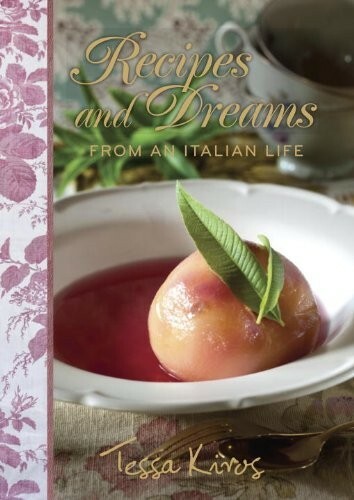 In Recipes and Dreams from an Italian Life, much-loved author Tessa Kiros celebrates the heritage of the country she has chosen to call home. This whimsically feminine book is a tribute to the women in our lives–mothers, mothers-in-law, grandmothers–and the important lessons we learn from them. With accessible, delicious recipes ranging from robust family dishes to quirky cakes and old-fashioned sauces and preserves, this book is a precious heirloom for today. The chapters are based on rooms and items in the home, such as the bread oven; vegetable patch; snack box; pasta pot; meat, fish, and chicken in the dining room; and the ice box. Some of the recipes include: Basil Liqueur, Sweet Pizza, Artichoke and Herb Soup, Potato and Truffle Purses, Roast Rabbit with Grapes, Chickpeas with Prawns, Marmalade Cake, and Cappuccino Ice Cream.